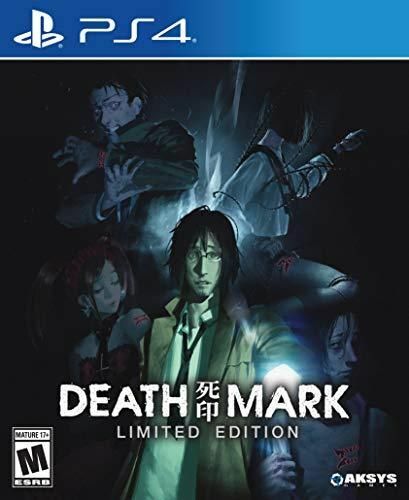 In Death Mark, a strange rumor is spreading in Tokyo's H City: those who bear the cursed Mark will die. Unexpectedly appearing on the body as a scar taking on the appearance of a dog bite, the Mark is said to bring about your inexplicable death. Now, having lost your memory, you stand before a mysterious house said to protect those who possess the Mark. As the doors swing open, the countdown to death has already begun. Ghost Busting - Sometimes the sword is more powerful than the pen. And when words fail it's time to stand your ground. Remember the price of not holding your own is an untimely death. Riddle Me This - It's not enough to defeat the spirit that cursed you, you need to do it in the right way. If you don't you might survive but end up wishing you hadn't. Be sure to parse all the clues and information you discover correctly to make your life continue to be worth living.